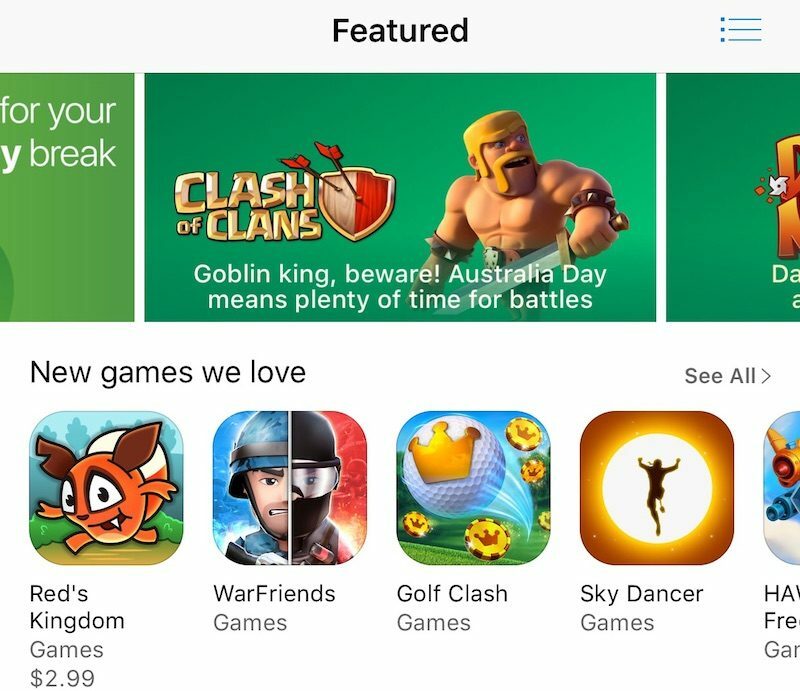 Apple has updated the App Store in Australia to mark the beginning of celebrations for the country's national holiday Australia Day, which takes place annually on January 26. The landing page for the iOS App Store now sports a collection of apps and categories that highlight Australia's green and gold national colors. The update includes an emphasis on in-game additions with Australia Day-themed add-ons, as well as general promotions taking place in certain apps. Gaming apps involved in the celebrations include Clash of Clans, Torque Burnout, Marvel Contest of Champions, Asphalt Xtreme, and more. 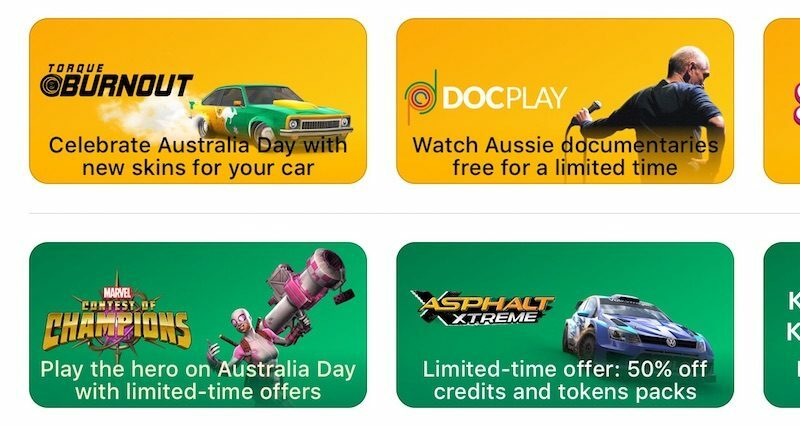 Non-gaming apps have also been rounded up for Australia Day, including DocPlay, which notes that a collection of Australian-centric documentaries are free for a limited time within the app. Apple has given the App Store a celebratory overhaul in the past, last year encouraging users to get involved in its Apps for Earth and World AIDS Day campaigns by promoting apps that forwarded proceeds to relevant causes. When looking back on 2016 at the beginning of the new year, Apple announced that App Store developers made $20 billion in 2016, which the company said was up 40 percent from 2015. How does one type so easily upside down!??? Aussies can do anything after 15 beers!